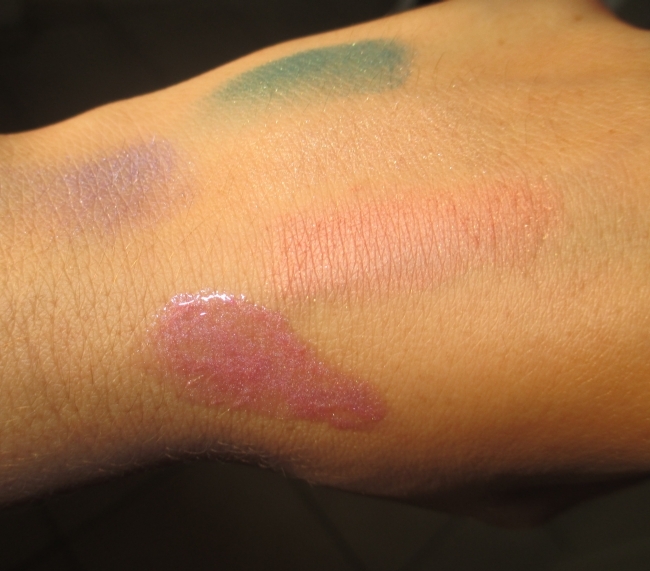 Wet n Wild Limited Edition Fauna Collection review! 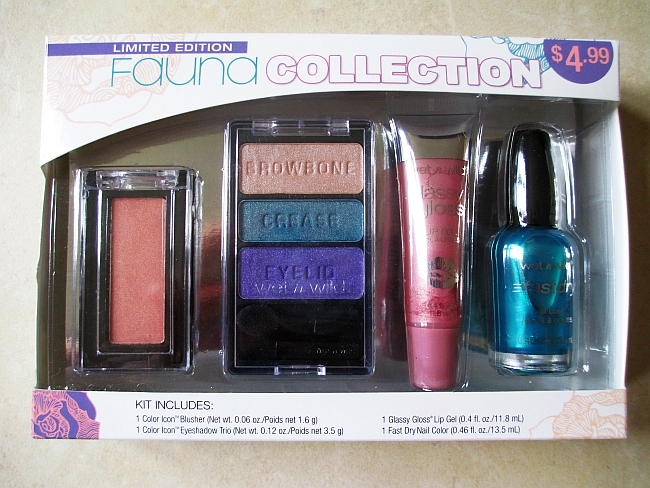 This Wet n Wild limited edition "Fauna Collection" came out quite long time ago, but I just now realize that I've never really used it or did a review on it. I remember that I bough it for $3.99, because it was on sale and let's be honest, who could resist getting this cute looking kit for THAT price?! There were two different shades available, ( I think the other had green and orange eyeshadows), but I've picked up this one. This limited collection contains eyeshadow trio in Fauna, a blush 831E in Pearlscent Pink, lip gel Glassy Gloss in Glass Confusion and Fast Dry nail polish in Teal or no Teal. Basically everything except for the eyeshadow trio is still available at your drugstore and Wet n Wild website. 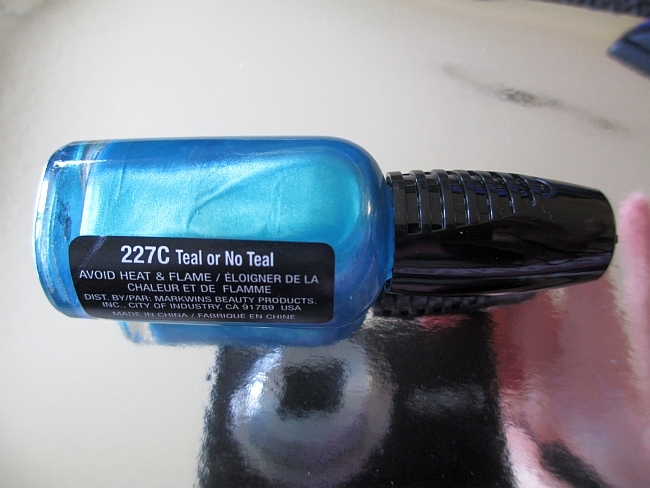 What I like the most from this kit is the nail polish - really pretty metallic turquoise color! The gloss is only tinted with color, so it looks pretty transparent on my lips. 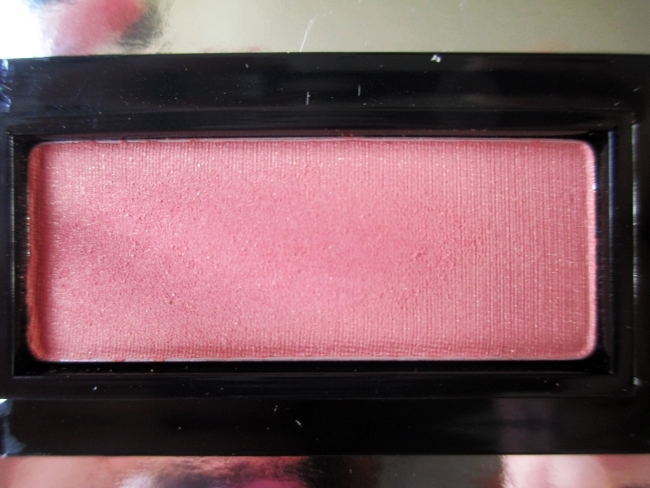 Blush, which in my opinion is more peachy than pink, is nicely pigmented and looks pretty and natural on. 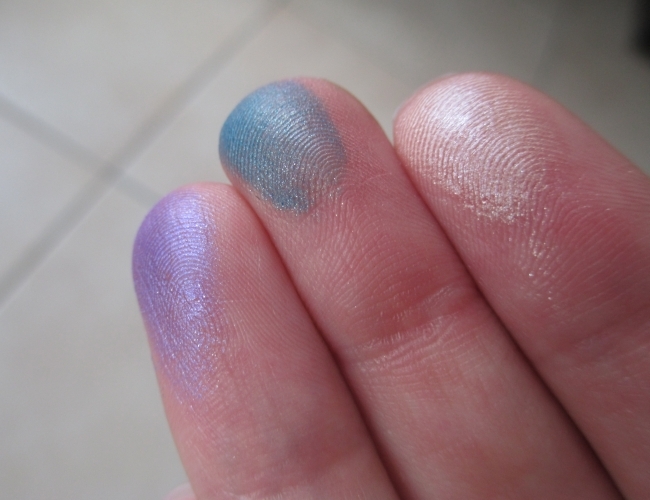 From the eyeshadows, I really like the purple color, which is more a bright lilla color. 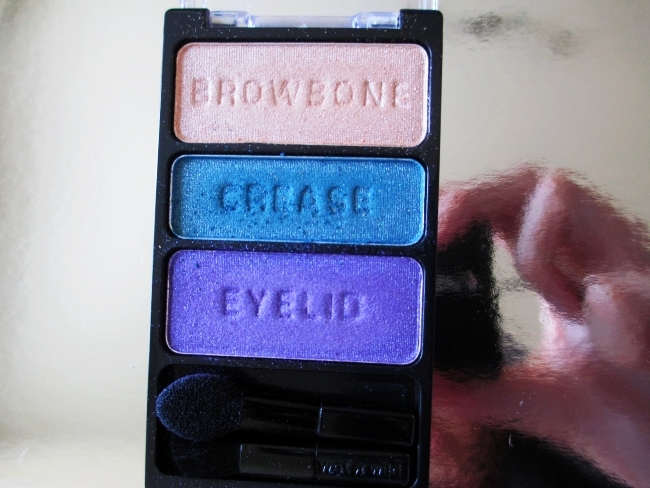 The eyeshadows are pigmented, but unfortunately a little bit too chalky for me. 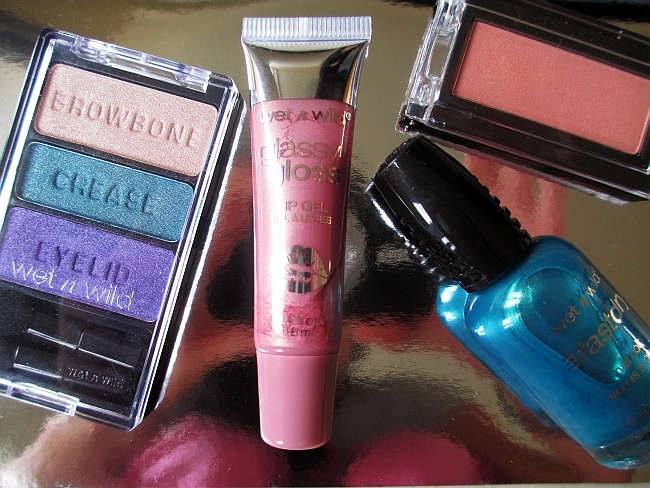 Still, you can create a very pretty and affordable summer look using this trio. Below are the swatches of the eyeshadows, blush and lip gel. This kit didn't impress me with a super high quality, but for the price of $3.99 I got a really nice nail polish and eyeshadow trio (selling apart wet n wild trio itself cost $2.99). What are your thoughts about the Fauna collection? What's your favorite Wet n Wild product? the eyeshadow is very pretty and unique for them. :) lovely post! !